Cross-border collaboration and cooperation on water can reduce water-war rhetoric. In March 2012, the Office of the Director of the National Intelligence in the United States published a report on global water security. The report noted that during the next 10 years, “many countries important to the United States will experience water problems that will risk instability, state failure and increase regional tensions”. The report considered that, “while a water-related states conflict is unlikely during this time, water shortages, poor water quality and floods combined with poverty, social tensions, environmental degradation, ineffectual leadership and weak political institutions contribute to social disruptions that can result in state failure”. 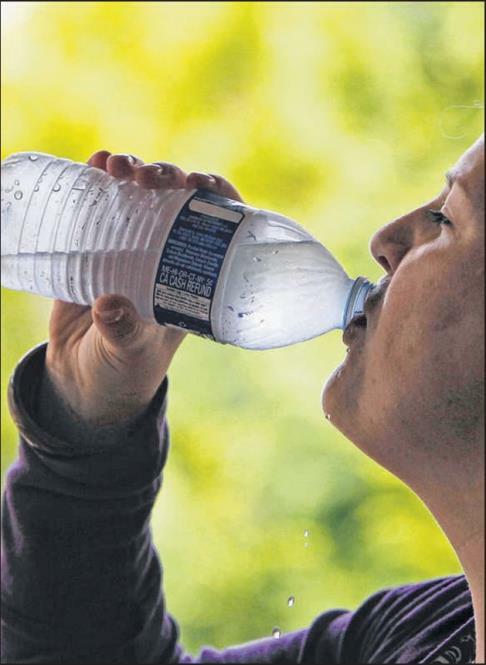 Water wars have been the “flavour” of the month for years. However, so far there has not been one water war between two countries in the entire history of humankind. An objective and comprehensive assessment will indicate that the world not only has enough water now, but could also have enough water to meet all the human needs by 2050, when the global population is estimated to be around 9.3 billion people. The real problem in the world is not physical scarcity of water but that management of the resource in all countries is dismal at present and has been for decades, in both developing and most developed countries. The fact is that the world’s water problems can be resolved with existing knowledge, technology and available investment funds. It has been the “human” factor that has failed for decades and unfortunately may continue to do so for years to come. For example, it is commonly believed that there is likely to be water wars in the Middle East because the countries are some of the driest in the world. Let us consider some facts. If one considers per capita water consumption in the world, the highest can be found in cities of the Gulf Cooperation Council, some of the driest in the world. One of the highest per capita water consumption globally is in Doha, Qatar, at 430 litres per day. Since the city loses at least 35 per cent of water from the systems due to leakages (contrary to Singapore which loses less than 5 per cent, one of the lowest in the world) and poor management policies and practices, this means that Kahramaa, the water utility of the city, must produce over 580 litres of water per person per day. In other words, for an average person of Doha, one of the world’s driest cities, it is necessary to produce more than five times more water than in cities with significantly more rainfall and better management practices. These include Hamburg or Barcelona, where consumption per person is 105 litres. A comprehensive assessment of the global water situation will indicate that, in the future, there is likely to be increasing cooperation on water and other related natural resources between countries because this will result in very significant win-win situations for the countries concerned. An excellent but little-known example of cooperation at present is that between Bhutan and India. This cooperation has lasted more than three decades and significantly benefited both the countries. Bhutan has very limited agricultural potential but has enormous hydropower potential. Since nearly all of its water is transboundary in nature, it has wisely developed its water resources in close collaboration with and support of its southern neighbour, India, with whom it shares its transboundary waters. Around 1980, Bhutan started a plan to develop its hydropower potential jointly with India under a bilateral agreement. Several hydropower projects have now been constructed with overwhelming positive results. The agreement between these two countries is that the electricity generated is used by Bhutan to cover its internal uses and the excess is sold to India as peak power through the eastern electricity grid at an agreed price that is revised from time to time. As a result of this cooperation, Bhutan has become a net exporter of electricity to India and, in exchange, most of the funds and expertise for hydropower development in Bhutan have been provided by the Indian government. Hydropower in Bhutan has thus become the primary source of energy for domestic use and local industrial consumption, and is also by far the major export and revenue earner for the country. The revenue Bhutan has received from India has along the years accelerated the economic and social development processes of the country. At present, the hydropower sector drives the economy in Bhutan and contributes to almost 25 per cent of its gross domestic product (GDP) and around 40 per cent of total national revenue. The country has also the highest per capita consumption of electricity in South Asia. Additionally, the unit cost of energy has declined because of economies of scale in production. Gradual expansion of the electric network to different parts of Bhutan has meant reduced use of fuelwood than would otherwise have been the case, as well as of diesel which had to be imported at a very high cost. Reduced fuelwood has also brought positive environmental impact. The sustained growth of the hydropower sector in Bhutan has been possible because of good water and environment management practices at the river basin level. In addition, hydropower projects in the country have not resulted in any major displacement of communities or significant inundation. Intuitively, one would expect environmental protection to be a challenge for a country with such a large hydropower development. But Bhutan has succeeded in promoting socio-economic development consistent with good environmental management. These benefits are in themselves an economic rationale for the long-term use of hydropower resources. While hydropower has radically changed Bhutan’s social and economic profile, the development has also been of immense benefit to India. The country is assured of steady electricity supply from a reliable source. India now imports nearly 90 per cent of hydropower generated in Bhutan. Bhutan is now considering developing some 10,000MW of hydropower, which will add significantly to its GDP and also vastly increase India’s power import. The Bhutanese development policy in recent decades has been to ensure that national economic development proceeds parallel to the country’s social, economic and institutional capacities. Water projects, when properly planned and implemented, can become engines for regional development and this has been the case in Bhutan. The collaboration between the two countries provides an excellent example of how transboundary waters can be used as an engine for economic growth or development of an impoverished region with concomitant benefits to both countries. The successful collaboration and cooperation between countries such as Bhutan and India will gradually contribute to the decline of the rhetoric of water wars. The writer is president of the Third World Centre for Water Management in Mexico. Previously a visiting professor at the Lee Kuan Yew School of Public Policy, she has worked extensively on transboundary resource issues.